it was such an ideal and memorable gift." Baptism Gifts - Give that new baby girl a baby rosary bracelet. These rosary bracelet crystal beads are tiny usually only 4MM and measure to be 5.5" long. These make the perfect keepsake for that special day. First Holy Communion Gifts - Young ladies will love a rosary bracelet. They can be purchased in youth sizes and are usually about 6" long. They come with a chalice charm and a crucifix making them the perfect commemoration of her First Communion day. Pearls are the traditional First Communion rosary bracelet material, but you could be more original and purchase her a birthstone rosary bracelet. Confirmation Gifts - Many unique Confirmation rosary bracelets can be found. The most common ones are bracelet crystal rosary and include a crucifix and Holy Spirit Dove charm. She would love a tried and true version, but if you want to be a little more unique, you could give her a personalized one with her initial or a birthstone rosary bracelet. St. Valentine's Day Gifts - A ruby colored pressed glass hearts rosary bracelet and a box of chocolates is the perfect gift for your Valentine. Mothers Day Gifts - Mom would love a Mothers rosary bracelet. These are similar to the popular Mothers ring where each of her children's birthstone are displayed. A Mothers rosary bracelet has each child's birthstone as a Hail Mary bead and her own as the Our Father. 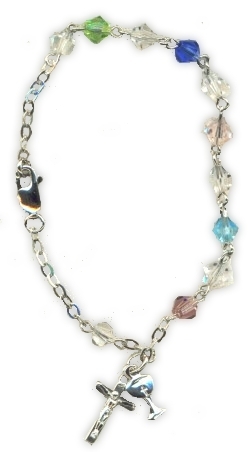 This bracelet can accommodate up to ten children or the same children's birthstones can be repeated. 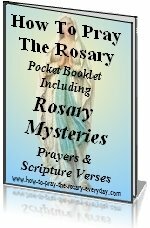 St.Patrick's Day Gifts - Give an Irish rosary bracelet as a St. Patrick's day gift or as gift for that special Irish person in your life. Choose from Connemara marble, pressed glass shamrock, or an emerald bracelet crystal rosary swarovski. Everyone loves a bit o' green on St. Patrick's Day! Looking For A Special Occasion Gift? As she wears her rosary bracelet she will be reminded of that special day with fond memories. If you are having a hard time coming up with a gift idea, look no further. A rosary bracelet fits all occasions and sends the right message- how powerful and important the Rosary is. Godparents- a commemorative crystal rosary bracelet is the perfect gift for your Goddaughter. There is no better gift to give on the occasion of any reception of a Sacrament. Rosary bracelets aren't just for girls. There are ones for boys too. You may want to buy your Godson a wooden rosary bracelet in commemoration of a special event. It is good for boys to wear rosary bracelets too, to make people more aware that praying the Rosary is not a wimpy thing. It is for all people, men and women alike. Buy from eBay ! As always, before you buy make sure the seller has good customer feedback. And if you are new to online auctions, check out our Auction Tips first. 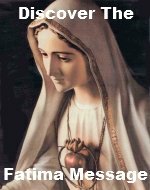 Not quite sure how to use a Rosary...visit here for a basic guide in praying with a Rosary.